"Year after year, finding these small greens with frequency is the key to victory but if you are going to miss the odd one, getting up-and down with regularity is vital. Fitzpatrick ranked second for Scrambling a year after Noren had won having ranked first and four of the last five winners have ranked first or second for Scrambling. That trend extends further back in time with nine of the last 12 winners having ranked no worse than sixth for Scrambling." 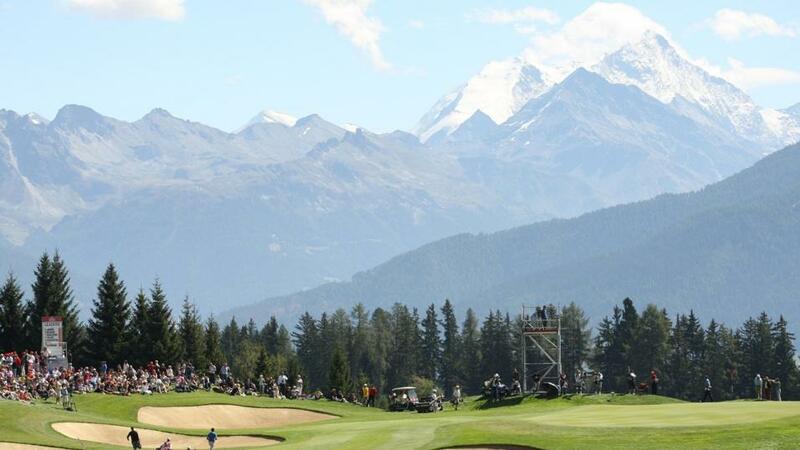 Founded as the Swiss Open in 1923, the Omega European Masters has been staged at the stunning Crans-sur-Sierre course since 1939 and it's been an ever-present on the European Tour since its inception in 1972. With the spectacular Crans Montana mountain range constantly in view, Crans-sur-Sierre is very easy on the eye. The course dates right back to 1908 but it's been tweaked quite a bit of late. Significant changes came in 1999, when Seve Ballesteros oversaw a redesign, and prior to the 2013 renewal, changes were made to four holes (10, 12, 13 and 17) with the biggest coming at the par three 13th, which now has a couple of lakes in front of the green and a seating area behind it. Further changes were made to holes one, two, four, five, nine and 14 in 2014. The fairways and fairway bunkers were remodelled on holes one, two and four. The tee was moved back by 25 yards on the par four fifth, making the hole no longer drivable, and the ninth was completely remodelled with changes to the fairway and bunkering, as well as a completely new green and green complex. The 14th hole, previously an easy par five, was reduced in length by just 38 yards and changed to a par four but it reverted back to a par five prior to the 2015 edition. The opening hole used to be a very easy par five first but that was changed to a par four a couple of years ago. It was the hardest hole on the course in 2015, averaging 4.3, but it's played slightly easier since, averaging 4.26 and ranking as the second hardest hole in 2016 and 4.27 and the third hardest last year. The par 3 16th, which was a short par four before Seve's redesign, was the toughest hole on the course again last year, as it invariably is, averaging 3.35. The fairways are slopey, mostly tree-lined, and of average width and the greens are small and shaped like an upturned-saucer. Water is in-play on six holes - 10, 12, 13, 14, 17 and 18, while holes six and seven are short drivable par fours. Hardly anyone takes on the very narrow sixth but the vast majority will have a dig at the 7th. It was the easiest hole on the course again last year, averaging 3.48, and there were 17 eagle twos there during the course of the week. Live on Sky Sports all four days, starting at 10:30 UK time on Thursday. What Will it Take to Win the Omega European Masters? The Driving stats are always a little misleading here and probably not that useful. The course is short and at altitude so there's absolutely no need to go bombing it off the tee. The driver stays in the bag for most of the holes and neither the Driving Distance nor the Driving Accuracy stats are much use. Last year's winner, Mathew Fitzpatrick, only ranked 44th for Driving Distance and the average DD ranking of the five winners before him was only 36.4. Accuracy is slightly more important than power and Fitzpatrick ranked 16th for Driving Accuracy last year but the 2017 winner, Alex Noren, ranked 49th for DA and the 2015 champ, Danny Willett, ranked 55th. When Noren won here for the first time, in 2009, he ranked in the 50s for DA and so did Sergio Garcia in 2005 so although it is a tree-lined track, being arrow-straight off the tee hasn't been imperative. The second and third in 2016, Hend and Andrew Johnston, ranked second and fourth for GIR and a year earlier, the first and second, Willett and Matthew Fitzpatrick, ranked second and first for GIR. Looking back, seven of the last 12 winners have ranked either first or second for that stat but had Hend won the last two playoffs that would have read an incredible nine from 12. Year after year, finding these small greens with frequency is the key to victory but if you are going to miss the odd one, getting up-and down with regularity is vital. Fitzpatrick ranked second for Scrambling a year after Noren had won having ranked first and four of the last five winners have ranked first or second for Scrambling. That trend extends further back in time with nine of the last 12 winners having ranked no worse than sixth for Scrambling. The first three home last year all ranked tied second for Par 4 Scoring and that's the key par scoring stat with five of the last nine winners ranking number one on the par fours. Course form holds up exceptionally well at this quirky and beautiful venue. Fitzpatrick now has figures reading MC-2-7-1 and Noren, who won his first European Tour title here in 2009, became the 11th player to win at the venue at least twice when he took the title again two years ago. The 2015 winner, Willett, was playing Crans for a seventh time and he'd previously finished second and fifth. The 2013 winner, Thomas Bjorn, was winning the title for a second time in three years, the 2012 winner, Richie Ramsay, has twice finished inside the top-ten since and the 2010 victor, Miguel Angel Jimenez, has nine other top-tens to his name. David Lipsky caused a big shock when he won here four years ago, at odds in excess of [250.0], but the last three winners were fairly well-fancied. Fitzpatrick was a [30.0] chance before the off, but only because he was so badly out of form. He hadn't finished inside the top-40 in any event since June, he'd missed three of his previous seven cuts and his putting stats were abysmal so his price was understandable but the two winners before him were both third favourites. Maybe the recent course changes have made it more suited to the top class players? Crans-sur-Sierre has often produced a big-name winner and the Omega European Masters has an impressive list of winners with many true greats having won here. Ryder Cup captain, Bjorn, Jimenez, Colin Montgomerie, Luke Donald, Garcia and Lee Westwood have all won here in the modern era and the 2015 champ, Willett, joins an illustrious list of major champions to have taken this title. Sir Nick Faldo, Seve, Jose Maria Olazabal, Ian Woosnam and Ernie Els have all won here. The cream tends to rise to the top and concentrating hard on the market leaders makes sense. Fitzpatrick sat tied for 15th and just three off the lead after day one last year but he was five adrift at halfway and that was unusually far back for winners here. Although he was only tied for sixth. A second round 63 saw Noren shoot up into a tie for fourth, just one off the lead, and last year's winner, Fitzpatrick, and Richie Ramsay, who trailed by four in 2012, are the only winners since 1997 to be any further than three off the lead at halfway. You generally need a fast start and in the 18 editions since 1999, nine halfway leaders have gone on to win. A strike rate of 50% for 36 hole leaders is pretty impressive. Bjorn and Ramsay both won easily by four strokes but we usually get a tight finish and four of the last five renewals have gone to extra time. It's not a straightforward finish at Crans and for the second year running, anyone thinking they were buying money with the leader with two to play was made to sweat last year. Last year's renewal was remarkably similar to the 2016 edition with the winner trading at long odds-on before bogeying 17 to let the very same third round leader (Hend) back in. Alex Noren was matched at [1.1] before his hiccup at the penultimate hole two years ago and Fitzpatrick hit a low of [1.16] before his late blip at what looks an innocuous hole. The two par fives on the back-nine, 14 and 15, are reachable in two and they offer up a great chance to score but the par three 16th is the hardest hole on the course and any gains at 14 and 15 can soon be given back. Defending champ, Matthew Fitzpatrick, looks highly unlikely to get a wildcard pick for the European Tour Ryder Cup team tomorrow and he's available to back at [12.0] in the Qualify for Team Europe market but he get gain compensation for the disappointment by being the first to defend this title since the late great, Seve Ballesteros, 40 years ago. As already highlighted, he was in dreadful form 12 months ago but he arrives here this time around after a decent seventh in Denmark where he topped both the GIR and Scrambling stats - the two important measures for this track. He's a very worthy favourite in what isn't the strongest of renewals and he's worth a saver at least given his course form figures of MC-2-7-1. Who knows whether Thomas Pieters or last week's winner, Matt Wallace, will get a Ryder Cup pick and who knows how they'll handle the news either way but neither makes any appeal. Pieters is developing in to a very frustrating character to follow and he hasn't exactly taken to the venue, missing the cut on debut in 2014 before finishing 60th a year later and Wallace isn't great the week after a European Tour win. He finished 38th the week after his debut win last May, he missed two cuts after winning in India in March and he failed to make the weekend four times in-a-row after he'd won the BMW European Open in June. He did win three-in-row on the Alps Tour two years ago so he can follow a win but he finished 70th on debut last year and he looks like one to watch from the start. Charl Schwartzel was showing some very encouraging form before missing the cut at The Northern Trust two weeks ago and he's finished sixth and fifth in his last two visits here in 2009 and 2010 but he wins too infrequently for my liking and I'm happy to swerve him. I've had a saver on Matthew Fitzpatrick and I've also backed two of the five each-way picks on the exchange, in addition to my fancy, Alexander Bjork. I looked at the Par 4 Performance, Scrambling and GIR stats on the European Tour over the last three months and Joe Dyer's fancy, Aaron Rai, stuck out like sore thumb and I felt compelled to go in again on last week's pick, Lucas Bjerregaard, who tends to hold his form for a few weeks once he finds it. And finally, Ashley Chesters also ticked all the right stats boxes so I've had a small bet on him at a big price too.